UPDATE: This event is SOLD OUT. No tickets will be sold at the door. See you in 2019! DRINK LOCAL BEER - SAVE WILDLIFE! 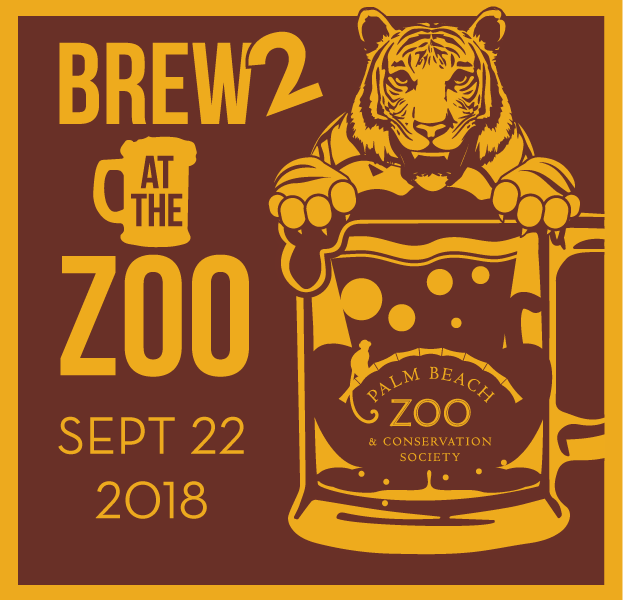 The Fall edition of Palm Beach County's most unique craft beer festival, Brew 2 at Palm Beach Zoo is back! Celebrate South Florida's amazing craft beer with samples from at least 25 of our local brewers. The breweries are spread through out the Zoo with 2-3 different brews each. That means 60+ different beers that you could try. Brewery reps are on hand to answer your questions about their products. Plus, you'll get to see amazing wildlife including many highly endangered species. 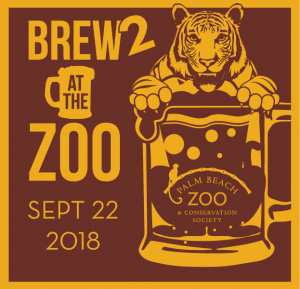 Since all the beer is brewed within 75 miles of the Zoo, this is the lowest carbon footprint beer festival in the Southeast. Plus, local breweries create local jobs. Both important considerations in living sustainably! Also, many craft brewers are very conservation oriented in their daily operation. That's good for you and for wildlife! See Zoo website for parking and other important info. Please note: VIP historically sells out a few weeks before the event and General Admission sells out a few days before. When they're sold out, they're sold out. Tickets will NOT be available at the gate. Be sure to select your VIP tickets based on your requested t-shirt size. We will make every effort to have your size, but we cannot guarantee shirt sizes at the event.